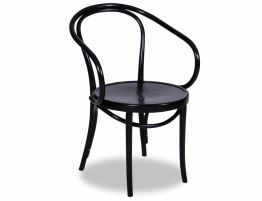 In black with a sunburst seat pattern, our Le Corbusier B9 bentwood arm chair offers the best of yesterday and today. 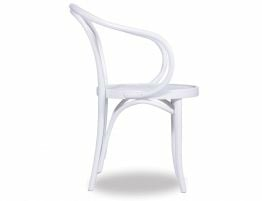 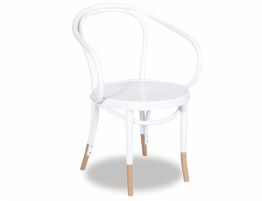 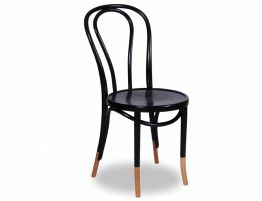 The furniture of the designer Thonet’s time was typically constructed from flat pieces of wood with abundant joints disguised by ornate carvings. 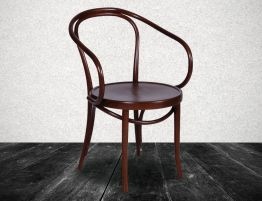 It was understandably difficult for most people to afford to buy furniture. 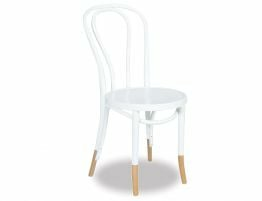 Thonet rejected the old methods and looked for simpler and more affordable ways of mass-producing attractive, high quality furniture.